Blue Water Farm provides leasing options to students who do not own their own horse. Leasing is an excellent choice for riders who have never owned a horse before or are not quite ready for the commitment. We have full and partial leasing available. Our full lease option includes benefits that are similar to ownership of a horse. 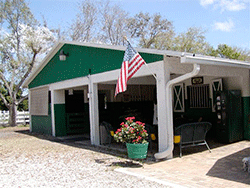 Our partial lease is for use of a horse or pony for three designated days per week. Blue Water Farm is responsible for veterinarian care, shoeing, supplements, worming and riding equipment for the leased horse or pony. The lessee is responsible for their own grooming supplies. 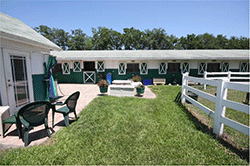 Blue Water Farm has over twenty-five horses and ponies in our leasing program. Our horses and ponies are matched to rider’s needs, aspirations and experience. We have horses and ponies for all abilities. Blue Water Farm leasing programs are designed to go with any of our lesson programs offered. Our full service boarding is managed by professional and experienced staff. Blue Water Farm offers large airy barns with unparalleled amenities. Horses are placed on individualized feeding programs according to their work and maintenance needs. We feed only high quality hay and grain. Stalls are all equipped with automatic waterers, 24-hour stall cams, fans, and mats. Barns are all equipped with a fly spray system, ceiling fans, a state of the art security system and emergency lighting. We have multiple wash racks with hot and cold water that are located inside and outside the barns. Blue Water Farms’ offers multiple well-organized air conditioned tack rooms with individual lockers to store all your equipment. Stalls are cleaned and bedding replaced daily. 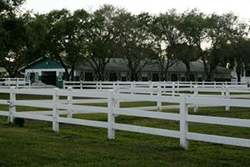 Blue Water Farm offers many boarding and training options. Groom service is available 7 days per week along with many other services.